(From left) WWF-Malaysia Senior Community Engagement and Education Officer, Alicia Ng, HOBHEC Event Director, John Tarawe and FORMADAT Advisor, Jayl Langub presenting HOBHEC III's t-shirt to members of media. Kuching: The Alliance of the Indigenous Peoples of the Highlands of Borneo (FORMADAT) is hosting their signature ecotourism event, the Heart of Borneo Highlands Eco Challenge (HoBHEC), from 27 June to 10 July next year. The third edition of this biannual event will be held in the highlands of Sabah and Sarawak (Malaysia), and neighbouring Kalimantan (Indonesia). The HoBHEC was introduced in 2015 by FORMADAT, a transboundary grassroots initiative that aims to promote awareness and understanding of the highland communities in the Heart of Borneo. The event’s objective is to promote conservation in Maligan and Kelabit highlands and to relive history, culture, and stewardship of nature. Thus, the concept of “taking nothing but photographs, leaving nothing but footprints” is integral to the organiser and its participants. Registration is now open till 31 May 2019 and the organiser calls upon adventure seekers worldwide to experience this unique adventure. Early birds who register before the 30 April will enjoy a 5% discount. 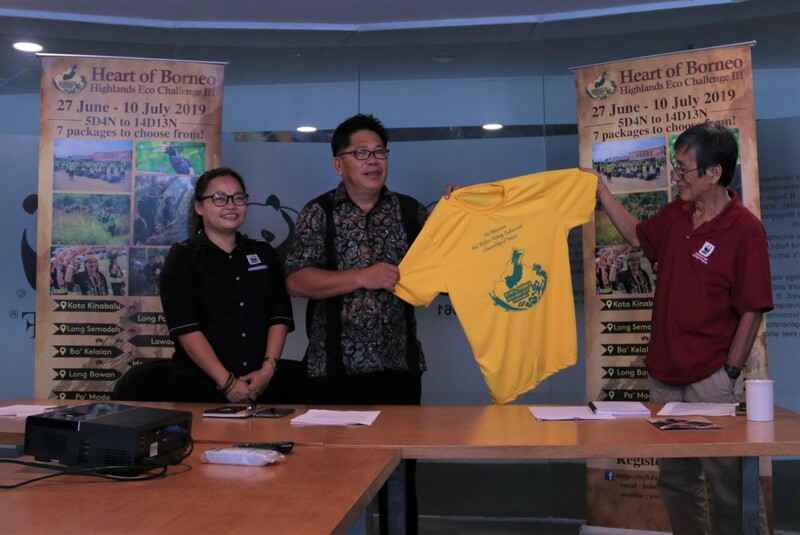 FORMADAT also hopes that HobHEC III will help market Borneo’s northern highlands as a green tourism destination, in line with the Visit the Heart of Borneo campaign launched this year. From 27 June to 10 July next year, the event offers a range of packages with a variety of trails to cater to the different interests and needs of the participants. The shortest route is five days, while the longest trail may take up to two weeks. 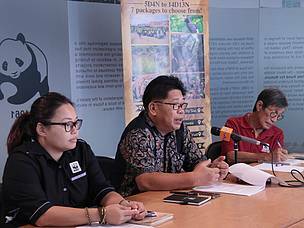 (From left) WWF-Malaysia Senior Community Engagement and Education Officer, Alicia Ng, HOBHEC Event Director, John Tarawe and FORMADAT Advisor, Jayl Langub at the press conference.